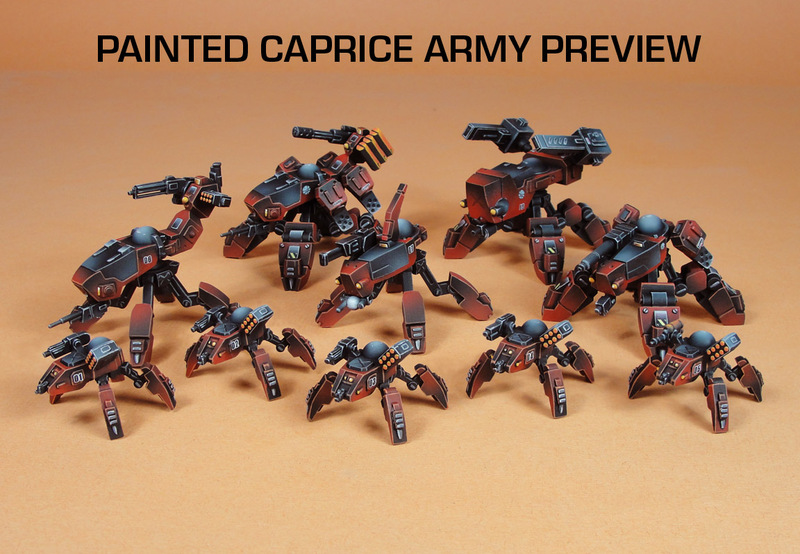 Dream Pod 9: Kickstarter Update: Painted Caprice Army Preview! Another amazing paint job from Jean-Denis Rondeau, this time the new plastic mounts for Caprice. We added some logos and numbering decals to them and then took a ton of photos of the Caprice Army and closeups of the different mounts. Check them out below to see how they turned out. Correction to our previous Plastic Injection Molds Update. We were told by our freight logistics company to expected the molds to arrive on Monday (June 20th) of this week at the plastics manufactures in Indianapolis. But we receive updated tracking from them on Tuesday morning showing the shipping container was still in transit to Chicago first and then would go on to Indianapolis and it will arrive there on June 28th. Sorry for the inaccurate information that we posted in the previous update. Campaign Ideas Feedback Reminder: We need your feedback on future Heavy Gear Blitz Tabletop Wargaming campaign ideas. Dream Pod 9 Forum member MDHades is helping us gather feedback on what players would like to see in the way of future campaigns and support of organised play in their areas. Please take a few minutes to click the link below to the DP9 Forum Thread, join the DP9 Forum and leave your comments and ideas. Other News: Our friends over at Lost Cog have asked us to help get the word out about their first Kickstarter that went live today. They designed a fast-paced 2 player Viking themed board game call Rampaging Jotunn, here is a link to the Kickstarter if you want to go check it out. 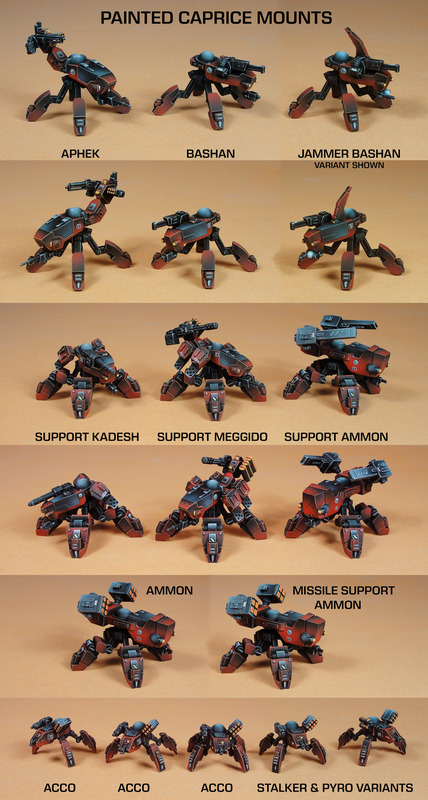 Home › Blogs › Robert Dubois's blog › Kickstarter Update: Painted Caprice Army Preview!